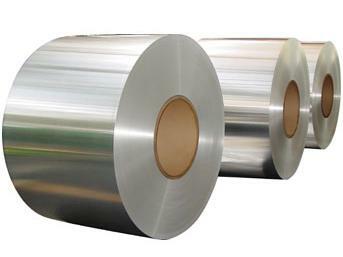 The 2024 aluminum coil is the representative product of the Haomei Industrial Co., Ltd. many clients have asked about the details of the product, and today, we will introduce it to you. The thickness of the 2024 aluminum coil is 0.15-600 mm, and it is a typical hard aluminum alloy (Al-Cu-Mg). It has more reasonable composition and better overall performance.It has a largest amount of market. Characteristics of the alloy: high strength, great resistance of heat which can be used below 150°C .The alloy 2024 has a higher strength than 7075 alloy if the temperature is over 125°C. With the heat treatment, annealing and quenching conditions, it has a better form ability. The effect of heat strengthening is obviously, but the processing is really strict with high standard. The 2024 aluminum coil is manufactured by the Haomei Industrial Co., Ltd, and it has been engaged in the aluminum industry for more than 30 years, which gained much experiences, Haomei has been adhering to the principle of “serving the clients with heart and soul”, the high quality and the good service attitude help it wins the appraise of the clients all over the world, till now, the goods have been shipped to many countries. So if you have any demand, please contact us, and we will give you the best recommend!